What Kind of Sink is the Best When Renovating a Kitchen? Kitchen renovation can add value and aesthetic appeal to your home. But before you rush in with a sledgehammer do a little bit of research and planning beforehand. Think about what you want your new kitchen to look like and what elements, like a kitchen sink, compliment the design for your new kitchen. Make sure you select countertops, appliances, cabinets and even flooring to compliment the design. The kitchen sink — typically the focus of the kitchen — should be functional and attractive. The sink should reflect the feel, and existing materials in the kitchen. For example: if you’re using composite countertops, consider using a composite sink. Composites are tough and appear as if they’re made from natural stone. They are available in darker colors that disguise water marks and food debris. They have a fresh appearance no matter how often you clean them. If you’re into white consider fireclay. This type of ceramic sink is manufactured in a kiln at extremely high temperature. It’s typically bright white, is highly resistant to scratches, chipping and has the advantage of easy clean-up. Expect to pay a bit more for a fireclay sink than a composite sink. Cast iron is an option that will last a lifetime. Sinks made from cast iron are clad in an enamel finish. It has an appearance similar to that of the fireclay. It’s available in white, but also comes in a variety of colors to match dishwashers or other appliances. But bear in mind that cast iron is heavy. If you chose the cast iron sink, make sure your cabinets can handle the weight. The cost of the cast iron sink is comparable to that of the granite sink. Other, higher priced sink materials include quartz. 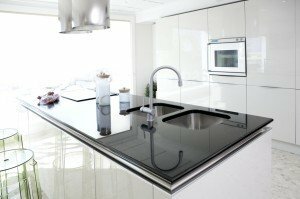 Quartz has been around for a while, but has since gained popularity with the contemporary use of quartz countertops. It’s a gorgeous material, but darker quartz can scratch. Another, more exclusive sink is made with copper. If you chose one of these gorgeous sinks, you’ll likely have the most exclusive sink on the block. They’re rust resistant, and have the advantage of being anti-microbial. 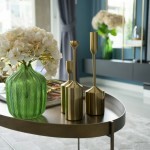 Depending on gauge and style, they can be comparative in cost to other materials. For economy and all-purpose use, nothing comes close to the standard, stainless-steel sink. It’s by far the most popular and most widely-used of all the sink materials. It’s durable, heat-resistant and comes in more styles, shapes and sizes than most other varieties. Go with a brushed finish for easy maintenance. If you’re on a budget, the stainless-steel sink can’t be beat. 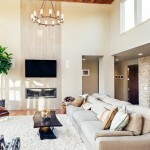 The answer to this question largely depends on your tastes, style, and budget. Need a little help answer these great questions? Precise Home Builders can help you choose a sink and other amenities for your kitchen. 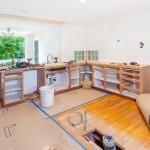 We also provide the best kitchen remodeling service in Los Angeles. Contact Precise Home Builders today for a free consultation.